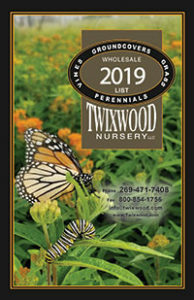 Twixwood Nursery is one of the country’s premier wholesale growers of groundcovers, perennials, vines, ornamental grasses, and pre-planted and pre-grown ECO-ROOFS Green Roof Modules. Located in the village of Berrien Springs, off the shore of Lake Michigan, Twixwood is conveniently located within 200 miles of Chicago, Detroit, Milwaukee and Indianapolis. Delivering weekly we provide quality plants, excellent service and timely deliver all for an affordable price.